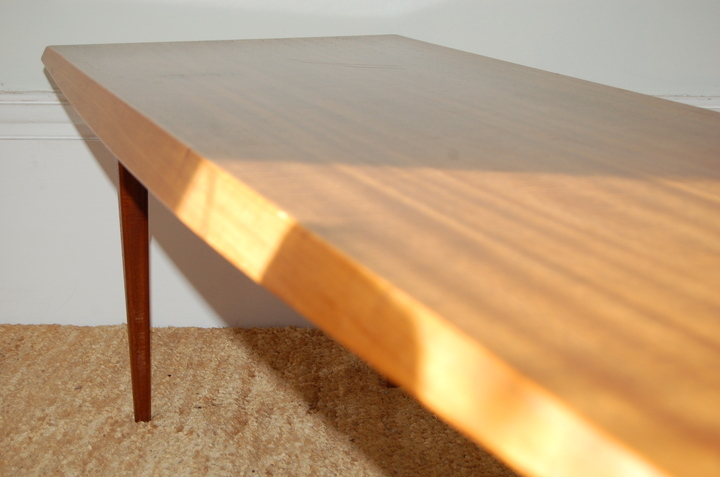 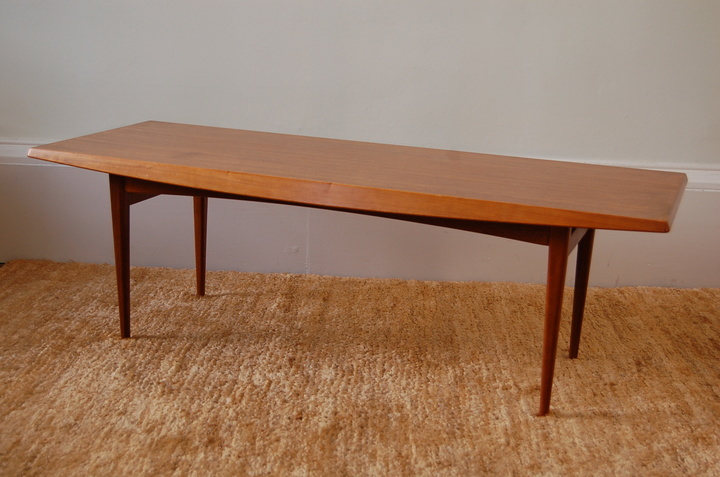 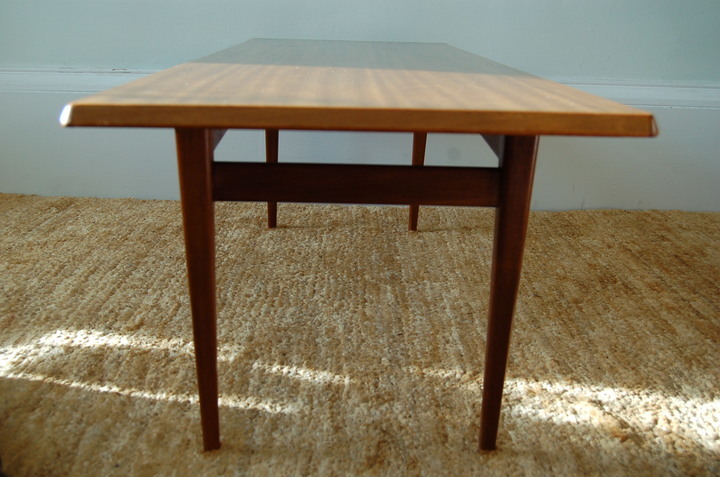 Vintage Gordon Russell, Danish-style coffee table, designed by Trevor Chinn and manufactured for Gordon Russell in the 1950s. 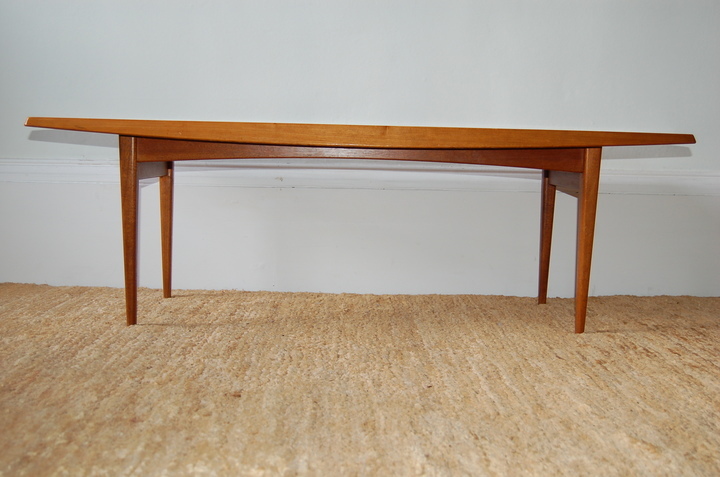 Made from teak with a subtle chamfered edge and beautiful slim tapered legs, this is a very elegant design. 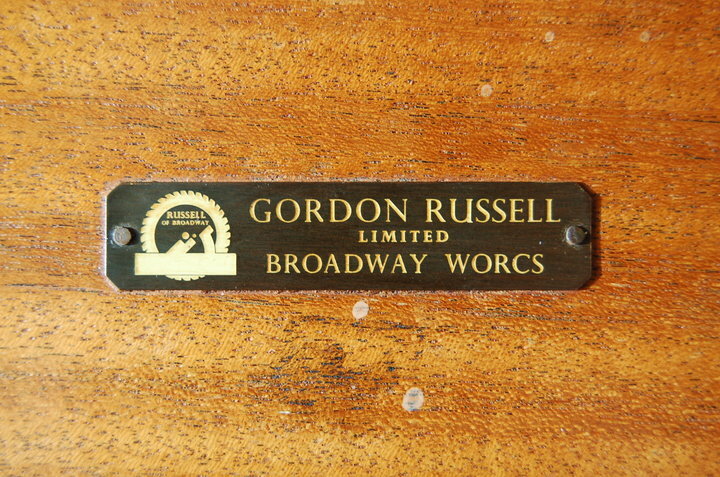 Original, copper finish metal label underneath: Gordon Russell, Limited, Broadway Worcs - with circular saw and plane logo. 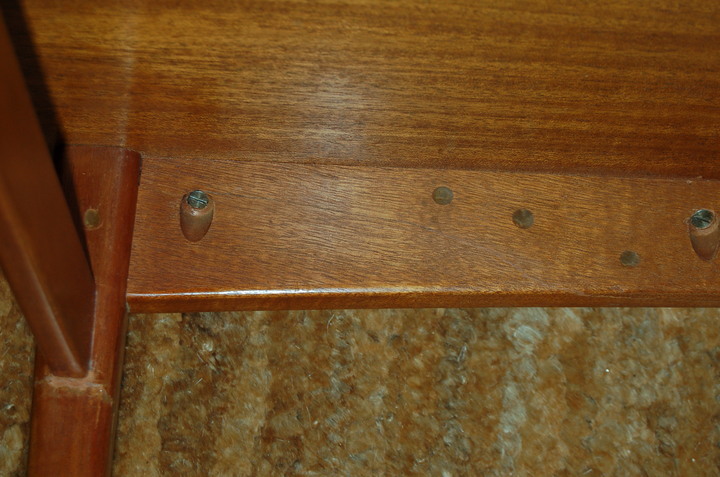 There has been some damage but the repair is not very visible as it has been carried out mostly to the underside 'interior'. 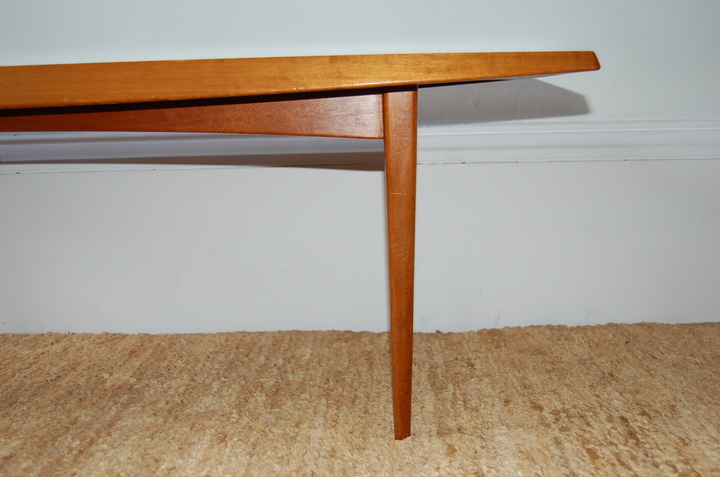 The top has some marks commensurate with use but has been left in the original finish. 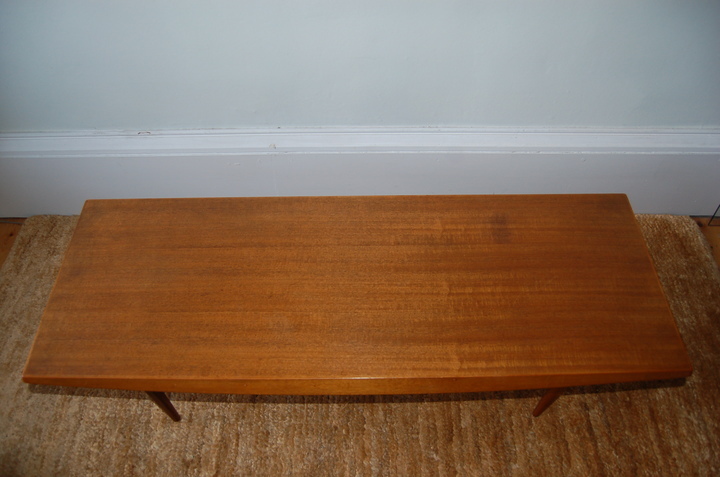 The price of this very special piece reflects the vintage condition.